Shell Scholarships are offered to high school students planning to attend college as well as current college students enrolled in either an Associates or Bachelors degree program. The three programs include the Shell Oil Company Technical Scholarship Program, the Shell Process Technology Scholarship, and the Shell Incentive Fund Scholarship. The Shell Oil Company Technical Scholarship offers 20 scholarships to high school seniors interested in a career in engineering or geosciences. They must have strong math and science skills and major in geology, geophysics, physics, chemical, civil, electrical, geological, geophysical, mechanical or petroleum engineering. The Shell Process Technology Scholarship is for students enrolled in a two-year degree program in Process or Instrumentation Technology. They can be enrolled either part-time or full-time. 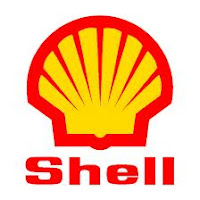 The Shell Incentive Fund Scholarship is for under-represented students enrolled full-time in a four-year degree program in geology, geophysics or physics, chemical, civil, electrical, mechanical, petroleum, geological, or geophysical engineering. This scholarship is for students who are African-American, Hispanic/Latino, American Indian, or Alaskan Native. Shell is one of America’s leading oil and natural gas producers, and manufacturers of gasoline, natural gas and petrochemical. They have operations in 50 U.S. states and 90 countries. Their focus for business is new energy for the future. The deadline for this scholarship is usually in MARCH of each year, and the award amount is usually $2,000 - $5,000.